I want you to tell me what you think of my plot so far. Also, my drawing style, for what little you can make out. Anyway I kind of rushed into my explanation... If you haven't guessed from the title of this thread, I am making a manga. And yes, it's about Midna. So a fanfic manga is what this really is. I've been really into the idea of creating manga lately; I want to get good at it. So I thought this would be a good place to start! Oh, wow. 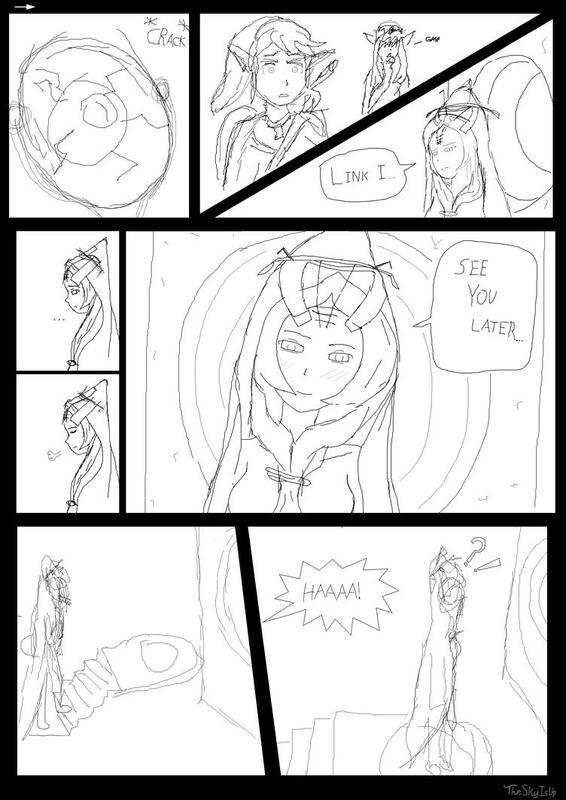 xD I've heard plenty of people suggest that Link join Midna through the portal. Believe it or not, though, I've never thought about Link actually pushing her off of the pedestal. Very interested to see where this goes. As for the visuals, even for being rough sketches, these two pages look pretty excellent. I mean, for the moment, Zelda's a little strange-looking, but otherwise, I'm surprised by how well these have turned out. Seriously, Sky, keep this up! Oh, and other members: show this thread some love, too! That's for the feedback Rare! Location: I dunno but bigfoot is over there and he's flipping me the bird. . any help here? Idea's good. That's how I thought tp should have ended at least. The detail is currently a bit lacking, but that will probably change in the next phase. Right? A good day seldom gets better. A bad day almost always gets f'n worse. he detail is currently a bit lacking, but that will probably change in the next phase. Right? Exactly right. This sketch is basically just for me to plan where the actual line art will be. Once It's finished, you'll see a solid looking mirror, the pattern on Link's shield, better clothing and hair. Improvement everywhere. I shall do my best for the sake of the comedy! Be warned however, due to school and other activities, my rate of progress will probably be quite slow. Haha, nice stuff, Sky! I really like the way that this has turned out. I've honestly never thought of Link pushing her, either. I've seen this one picture a couple times on YouTube (that I cant find now :/ ) where Link is kissing Midna as she's leaving, and her legs are already gone, haha. 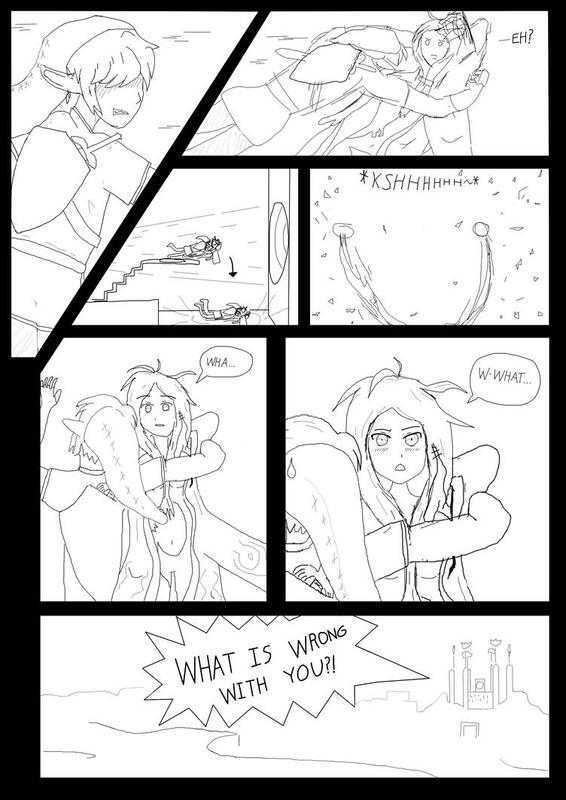 I now know why manga artists usually have assistants. It would be so much easier if I had someone else do the line work on these sketches! I mean, I liked doing it myself and all, but there is a fair bit to do even on just these two pages. So I'm just understanding those manga writers more now.